Lately, I’ve been trying to craft away the winter blues. 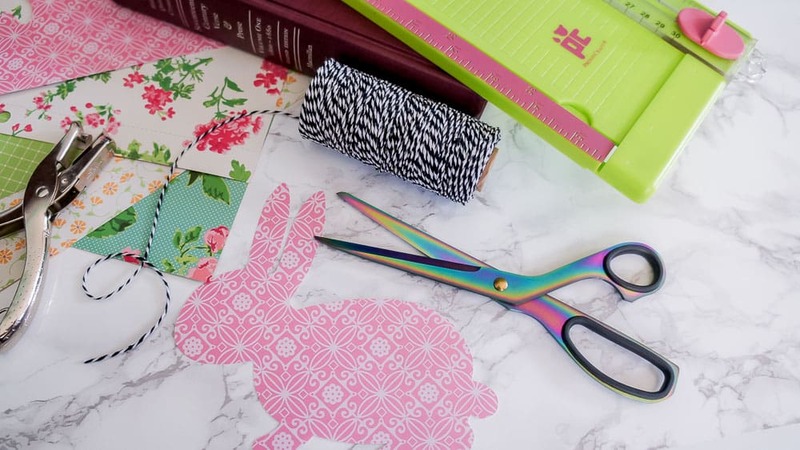 Maybe if I make enough spring decor, Mother Nature will get the hint? 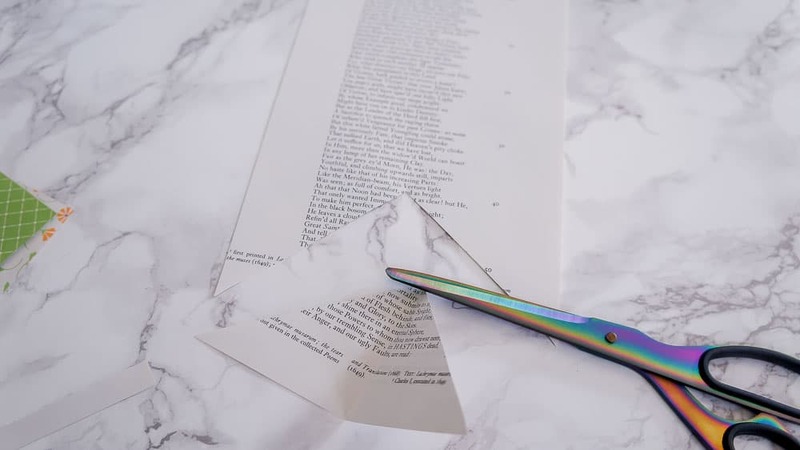 Crafting never hurt. Together we can try. 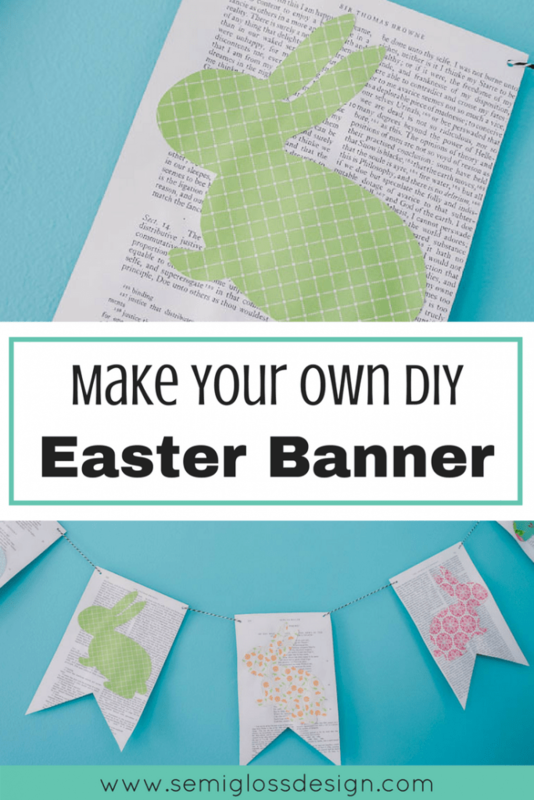 Make your own DIY Easter banner and bring some spring to your home. Gather your supplies. 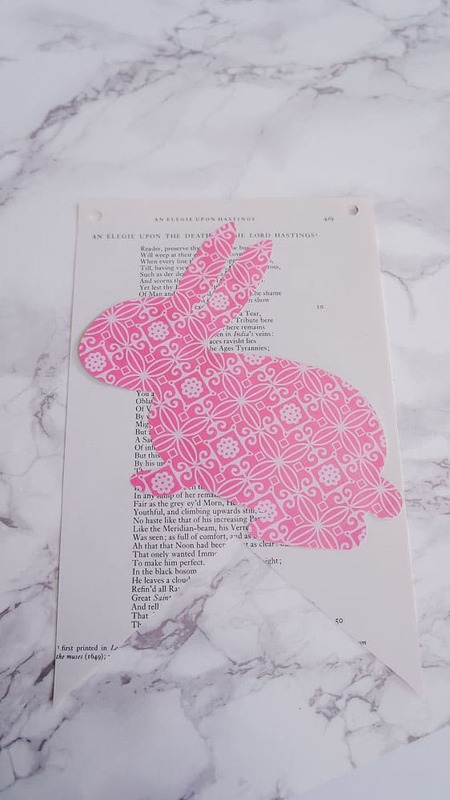 I picked some pretty scrapbook paper for the bunny shapes and used an an old poetry book from the thrift store. 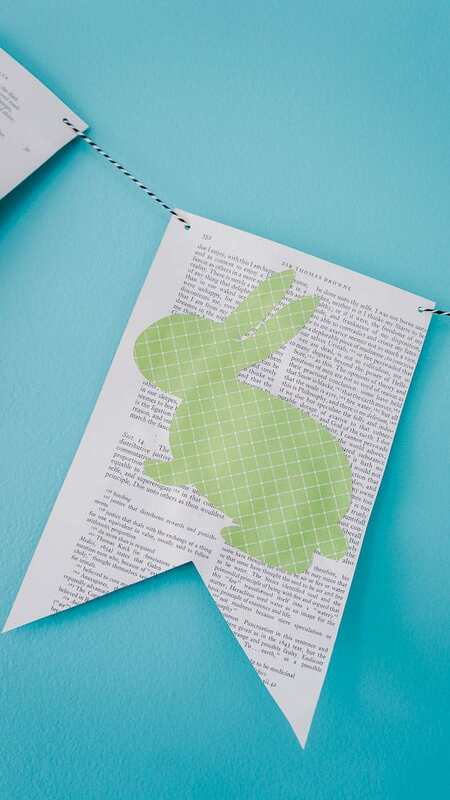 Weed the paper away from the bunnies. Prepare your banners. 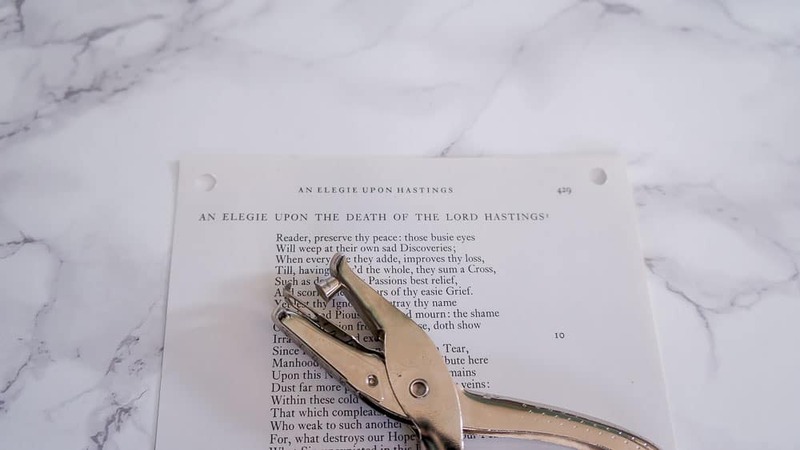 Rip out a page and then trim it down using a paper cutter or scissors if you can cut straight. 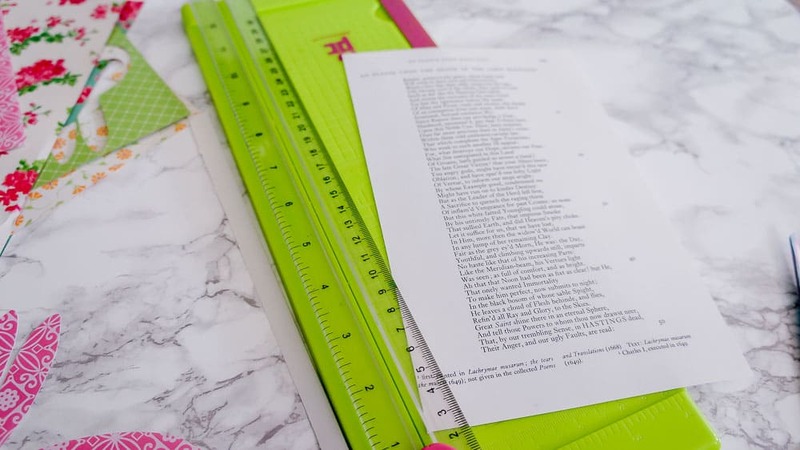 Use a hole punch in the corner of each banner. 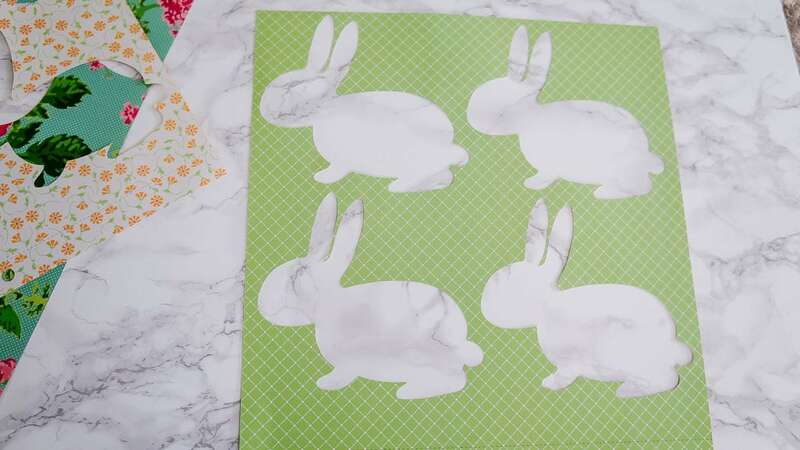 Apply glue to each bunny. 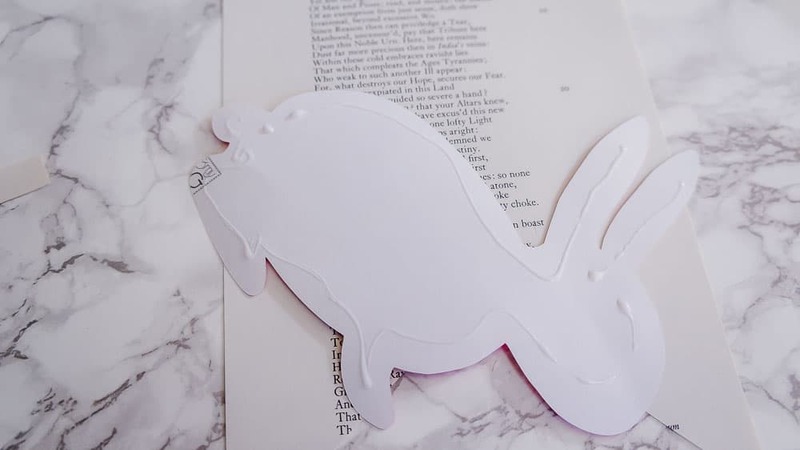 A glue pen is perfect for those tiny parts like the ears. 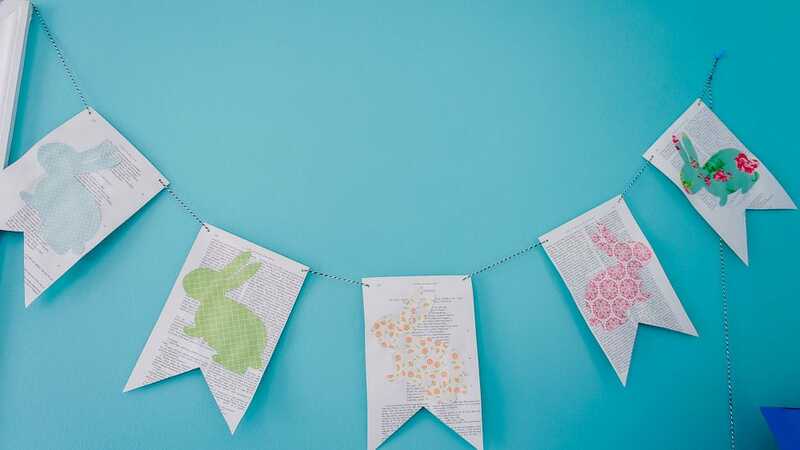 Glue a bunny to each banner. I angled mine a bit because they were a bit large. But it makes them look like they are hopping! Thread the banners onto the string. Use the baker’s twine through each hole. I like to have the paper on the back of the banner. 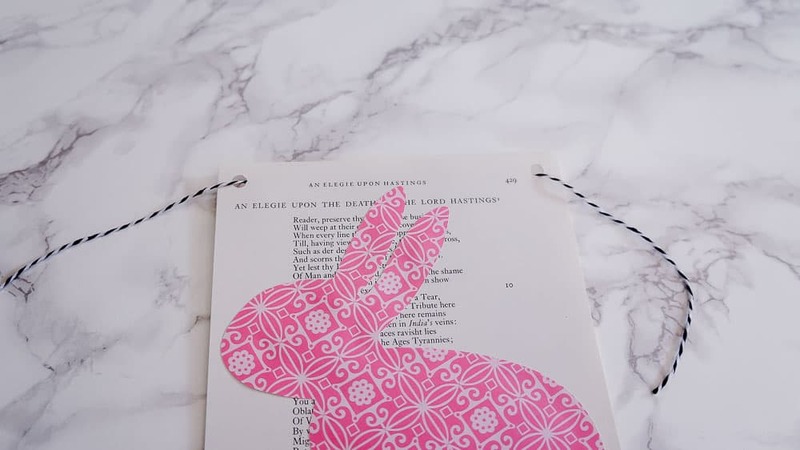 I also used the bunnies to make labels for my vintage shop using the print and cut feature. 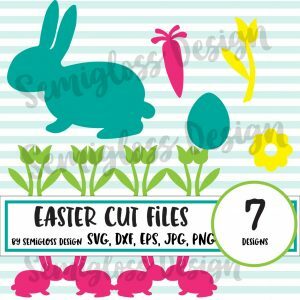 Want your own bunny cut files? I sell them in my Etsy shop.